Location: Flemington Community Centre, 25 Mt Alexander Road, Flemington. 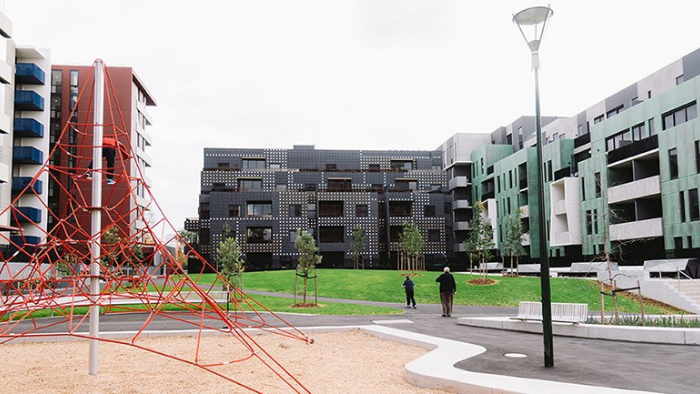 The event brought together community members, housing association representatives, researchers, local and state government representatives and housing advocates to discuss ways to maximise the social benefits of this program. A panel of experts opened the event, sharing their insights into public housing renewal. This was followed by small-group discussions and an opportunity for attendees to find others to collaborate with to lobby for change to the program. This event supports a wider goal by the University to call for a rethink the PHRP, including alternative funding models that do not hand over valuable inner-city land for a one-time financial gain. The event generated calls for a moratorium on progress, greater transparency in engagement and financial modelling for the project, a greater focus on allowing right of return for residents and a commitment to retaining public land. Researchers from the University will present findings from the event to DHHS next week and are writing a letter to the State Government to highlight the deep concerns held by the event’s participants. A summary report will be available through the Transforming Housing website early 2018.